If you enjoy boating, then you are definitely going to enjoy the uniquity that the Tinnie 10 by Joey Ruiter has to offer. Compact, unique and an exceptional design, the Tinnie will have heads turning wherever you roam on the waters. It makes a good water commuter, or even a small fishing boat. Besides, it looks really cool. It can easily be carried by a single man because of the lightweight aluminum design. The Tinnie 10 features a sharp triangular design that looks much like a UFO. It also only weighs 173 pounds. The lightweight is because the entire boat is constructed out of 1/8” aluminum that has been seam welded to ensure hull integrity. In addition to this, the floor of the boat is lined with White Oak planks and it can comfortably seat two adults side by side on the Xorel upholstered seat. 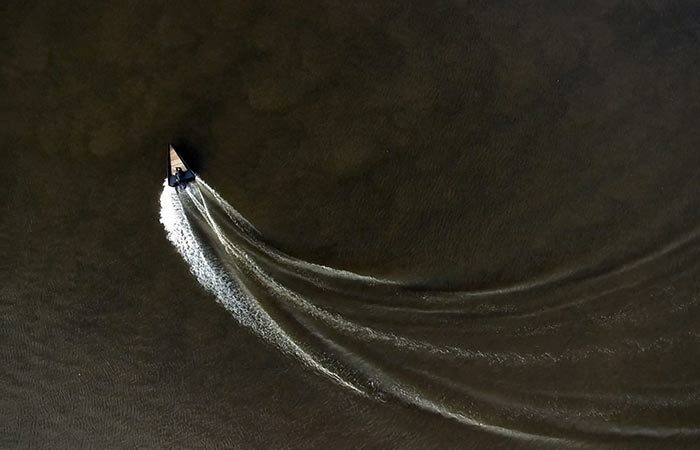 We all know that there is nothing quite like cruising over water! You also have the option of purchasing it with a 6hp, a 4-stroke, or an electric motor. The max horsepower that this aqueous vehicle can deliver is 10hp at 4.4kw. The entire boat measures in at 10’ in length, comes with a 76” beam and has a transom height of 15”. 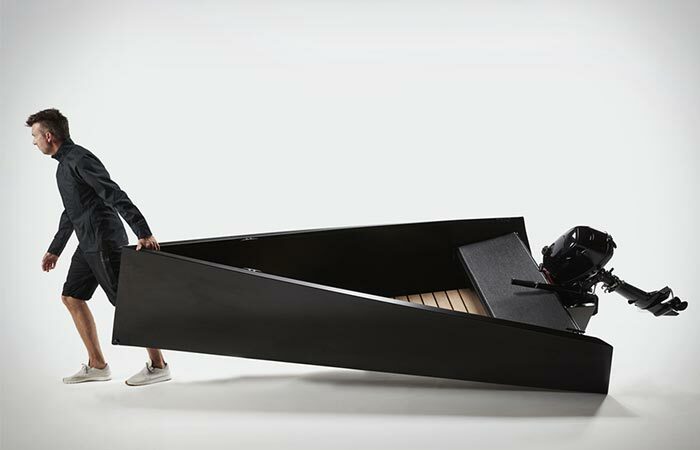 The max capacity that this boat can seat is 2 people with a weight of up to 500 pounds. Check it out at Jruiter here.